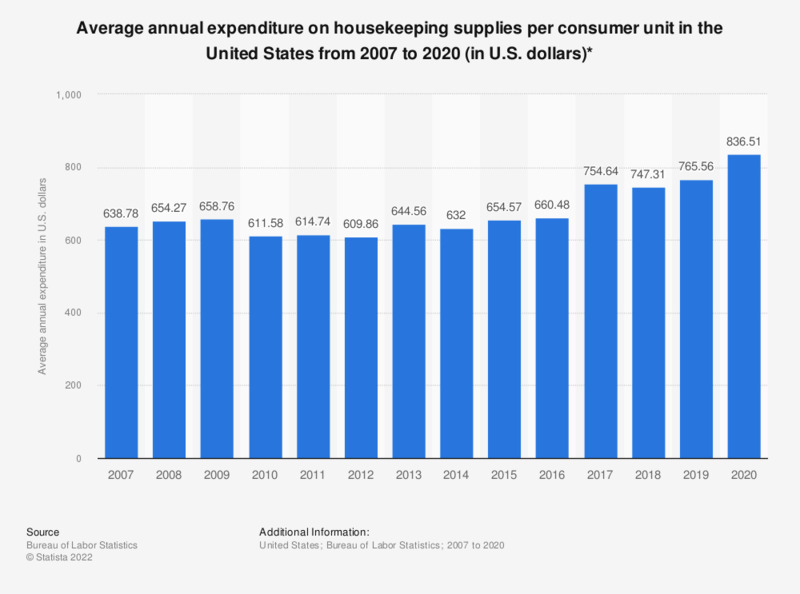 This statistic shows average annual expenditure on housekeeping supplies per consumer unit in the United States from 2007 to 2017. In 2017, the country's average expenditure on housekeeping supplies amounted to 754.64 U.S. dollars per consumer unit. U.S. population: How many rolls / packages of store brand paper towels have you used in the last 30 days?